Midas hamilton township is your one-stop shop for brakes, oil changes, tires and all your auto repair needs. Efficient, affordable and quick. Thanks! Right price, service and timely completion of repairs. , kind, and Courteous, explained everything in detail, answered all questions and concerns. Over all great experience. Have been taking my vehicles to Midas for years now and will continue to do so. Midas is the greatest. Always happy with the work the MIDAS crew performs on my car!! Always always fast service!! Thank you and god bless guys???????? I'm never disappointed when I go to Midas in Hamilton. Ronnie and the rest of the staff are always professional and pleasant, and they do a great job. I trust them and won't go anyplace else, even though I've moved an hour away. Had the same mechanic for twenty years and he retired. Tested a few garages and stopped when I met this Midas location. Great management, they seem to enjoy dealing with there customers and for such a busy place they always seem to get you in and out on schedule. Prices are very competitive too. Always a great experience with this Particular Midas. Always great and prompt service you can trust. I was my first time , I got a very professional service. I have been coming to Midas for several years now. I find that they thoroughly work up the car when just getting a simple oil change. They have never tried to sell me services I don’t need. Thank you, Midas! My daughters and I have taken our vehicles to Midas in Hamilton for nine years, and we have never been disappointed. Even though we moved to Stratford last August, we continue to travel to Hamilton because we trust the employees there, and their service is exceptional. I know I can always count on Ronnie to address all my concerns and answer all my questions. The staff at Midas are very friendly and professional, and we are extremely satisfied customers! I can't thank you enough for the great service you provided in putting on two new tires. Everyone was so efficient and friendly. You will always be my first stop for all my auto needs! I went there for a head light. I was in and out in 30 minutes. Great customer service. Will definitely recommend Midas to everyone. I can't say enough good things about the Hamilton Township Midas. They go above and beyond to ensure their customers are satisfied . They listen to your concerns, offer advise with no pressure to make a snap decision. I commend them completely for their professionalism and a job well done. I had such a positive experience with them that they have gained my trust and my business. Thank you for great service, customer service, valuable and important information on the tires I currently have on my car along with providing me with a great quote for new tires. Thank You. The repairs were performed timely, reasonable cost, and quality service. The results were noted when I made a five hundred mile trip to Ohio the next day. It is never a good thing to have to take your car to the shop at any point in time. I know that when I take my car to your Midas, that it is in good hands.  Your shop has routinely showed me that you have your customer's best interest in mind when you are evaluating their vehicle for repair and that you will fix what is needed where appropriate. I have taken vehicles to numerous other shops where all they seem to do is find 1000 things "wrong" that need to be fixed just to run up your bill, I do not get that feeling from your shop. You guys go the extra mile to satisfy your customers, keep it up. I go here for my oil changes all of the time... They are GREAT! Last time I was even able to go before work and still make it in on time... Ronnie is the best. Just make sure to book an appointment first. Consistently excellent service over a period of 12 years. I consider Midas Hamilton a partner with me in keeping my 2002 Chevrolet Impala in safe, reliable working order. I rely on the collective expertise of the manager and the garage's master mechanics to prolong the useful life of my vehicle. While i can't speak for other customers, my sense from being in the waiting room is that they feel similarly. so my engine light turn on, so i came to midas to check it out, they figured out what was wrong and fix it right away. The team was very kind and explained to me what was wrong. South Broad Street Midas in Hamilton has provided me with all around great service. Whenever I've taken my car there I have left very satisfied. Quality, time, and costs get high marks. All around great service. As usual, i taken all my vehicles to this Midas service center and have even bought in other friends because of the stellar service that I've always received. Awesome mechanics, price and service. Everytime i go here i always get great quality work. Staff is always professional thank you! I want to go here to write how well of a job the employees at Midas located in Hamilton, NJ are. They are friendly, very helpful, get you in and out without a problem. Most of all I am fortunate enough of them to have dropped me off and picked me up from my job. I want you to know that I feel that they have gone way out of their way for me and that I am very appreciated . Ronnie is great with customer service and so is Michael with all of his help. Midas keep up the great work... from one Happy Customer. My experience with the shop was great , they helped me and explained all that , I needed to get done to make my vehicle safe . The work was done well and the cost came to what was on the estimate . The employees did a great job from the service manager on down to the technicians who make the repairs . they are friendly . Midas Management at 3149 South Broad Street Hamilton Township, NJ 08610.